Here's a quick look at what I believe to be Rogers outfit for the upcoming Sony Ericsson Open in Miami, this time Nike have gone back to the V-Neck style worn earlier in the season. According to Nike it's “White/Green Abyss” or to you and me – white and a bluey colour. It's the exact same design as the black and red top worn by Roger in Doha, Rotterdam and Dubai and I think it's pretty cool. I think this will be the only time outside of Wimbledon and the Clay Court season from 2010 where Fed has worn a top that's predominately white. I've also included another picture of a polo – I wonder if Roger will ever wear this version of his Aus Open and Indian Wells top? It's strange for Nike to release something under the RF branding without Fed ever wearing it. If you landed on this page looking for the Madrid 2012 outfit you can find it here. Dear Lord! I like the “white and bluey” shirt very much but the polo is simply amazing! I have to restrain myself from buying it right now… I really hope he will wear it just once to see how it fits on him! Not sure which tournament he will wear it at though! There’s none left up until the clay starts after Miami. In my opinion the last picture of the non used Aussie Open isn’t that beautiful as the red polo or the blue one in indian wells. I’ve seen some his outfits this year. For Roland Garros he has a kind of black polo with yellow detailing. 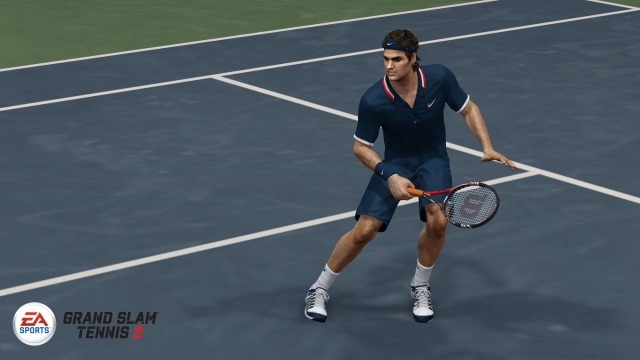 Dunno about wimbledon, but his us open outfit is all blue with red and white detailing. For the year end champs, he has a purple polo. Yeah I’ve seen that one too man, like a high vis coloured piping on the sleeves and neck? Not seen the purple one, you got a link to it? 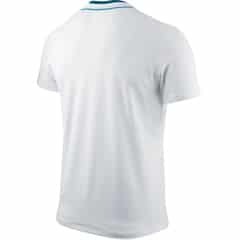 Fed may wear the white AO-like polo in Madrid and Rome. Or he may wear the polo in Miami and the white v-neck for the clay season. Has it actually been confirmed what Fed is wearing? This outfit is very similar to the one in 04 at indian wells. same colours.